The scorched moonscape of Atacama stretches for hundreds of miles on both sides of the Pan-American Highway, undisturbed by any sign of human activity. 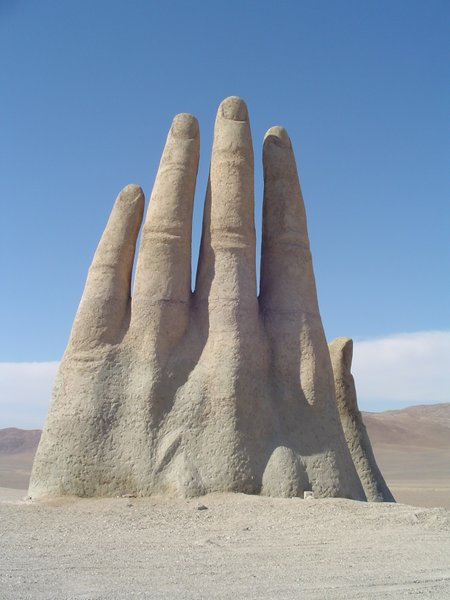 About 75km south of the town of Antofagasta, its monotony is shattered by a sight even more alien then the desert itself, and yet undoubtedly human: an 11-meter-tall hand protruding out of the sand. 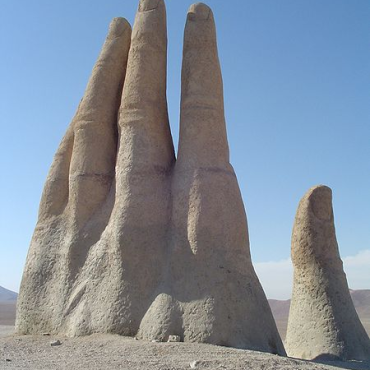 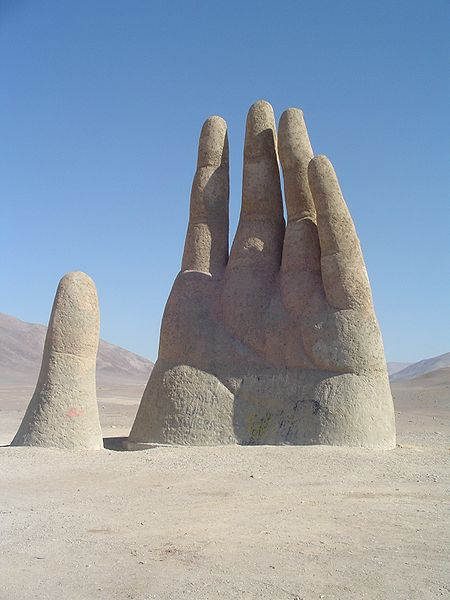 Mano de Desierto is a work of the Chilean sculptor Mario Irarrázabal, built in the early 1980s. 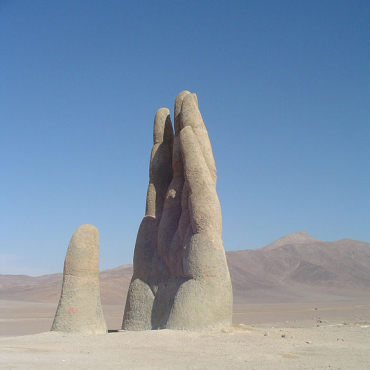 It was financed by a local booster organization called Corporación Pro Antofagasta. 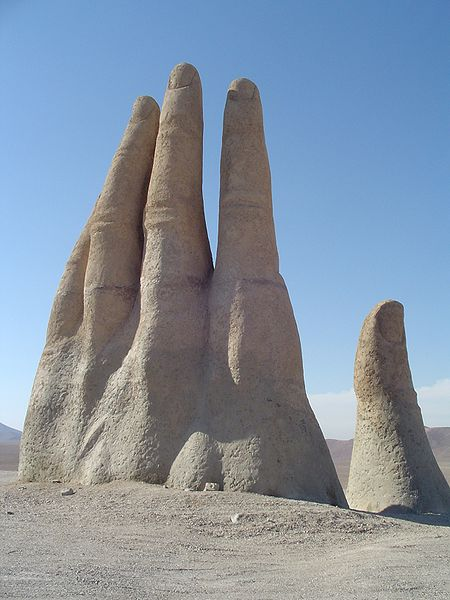 The motion of hands rising from the ground is an obsession of Irarrázabal’s. 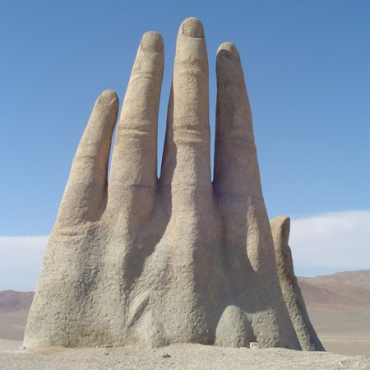 His other famous works include another over-sized sculpture exploring the same idea: “Monument to the Drowned” is located on Parada 4 at Brava Beach in Punta del Este, a popular resort town in Uruguay. 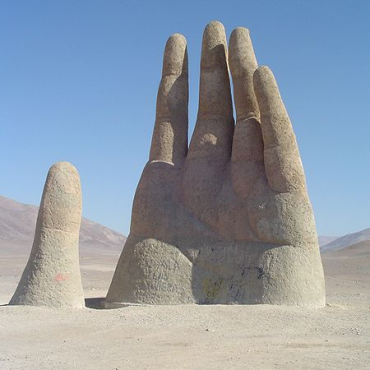 Another large sculpture, “The Awakening,” by American artist John Seward Johnson II expresses a similar idea and is located at National Harbor in Prince George’s County, Maryland.